Egg-ambassador Trevor Bird is a Top Chef Canada Finalist, and owner of Fable Restaurant in Vancouver. 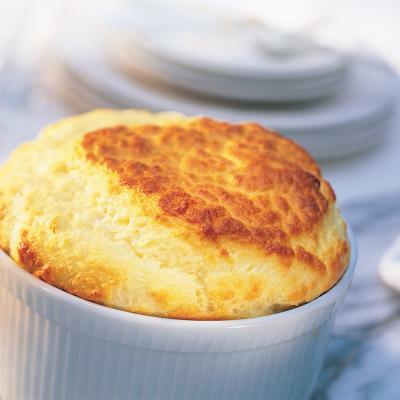 Trevor is inviting you try this Double Baked Blue Cheese Soufflé—created for Egg Farmers of Canada. Bring milk to a simmer in a pot over low heat. In a small pot, melt butter and add flour, cook for 1 minute (this is called a roux), add in salt. Add simmering milk to roux, 1/3 at a time and beat with a wooden spoon. Let the roux cool and then beat in cheese and egg yolks, then set aside. Whip egg whites to stiff peaks. Fold the egg whites into the cheese base 1/3 at a time, until it is light and fluffy. 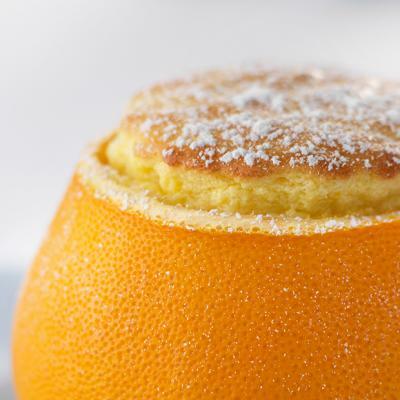 Pour the mixture into a well-greased muffin tin. Bake at 150°F (65°C) for 15-20 minutes or until risen and is golden brown. Remove from oven and let cool, remove from tins and let cool. When ready to serve place back in an oven at 350°F (175°C) for 5 minutes to warm through. 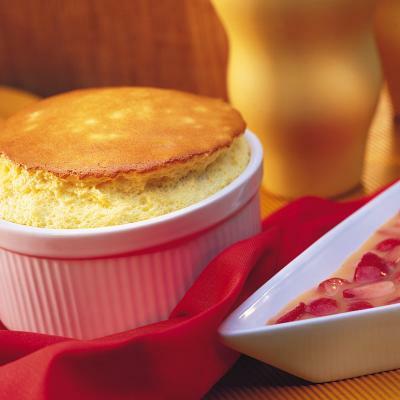 Place everything in a pot with the exception of the grapes and cook down until it is reduced by half. 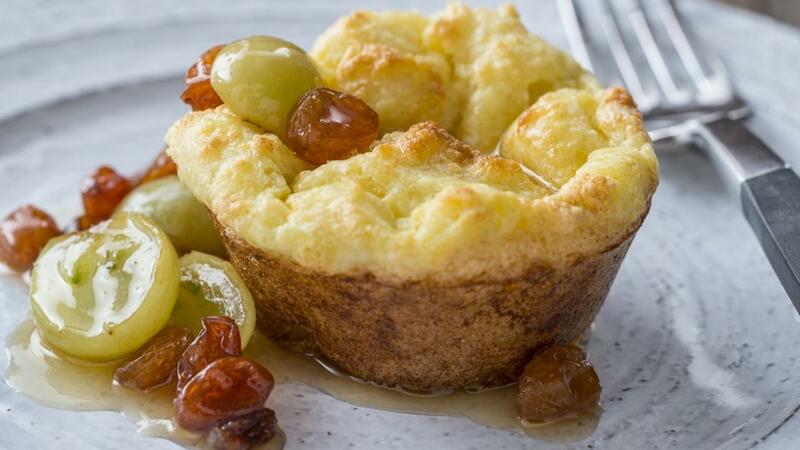 Stir in the grapes and spoon over warm soufflé.